샌디에고, 미국의 파운트 호텔 샌디에이고 | 호스텔월드에서 예약하세요. At Found San Diego, we find tremendous joy in providing each and every guest with the kind of personalized experience and guest service that engages all the senses and makes travel memorable. Memorable as in, write-about-your-incredible-experience-in-your-travel-memoirs, worthy. That is our goal. 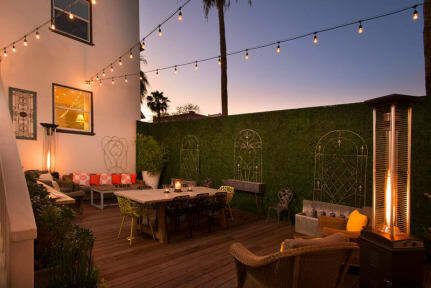 A hidden gem in the heart of San Diego’s hip and historic Little Italy neighborhood, our hotel is inspired by the desire to create an experience that is reflective of its location, offering guests an authentically local experience through our comfortable vibe, sense of community and playful spirit. Found San Diego is located in a meticulously restored 1910 historical building, Found San Diego offers the grace and elegance of a historic hotel, but all the modern amenities to make your stay superbly vibrant. All of our rooms are individually and thoughtfully decorated with beautiful furnishings. 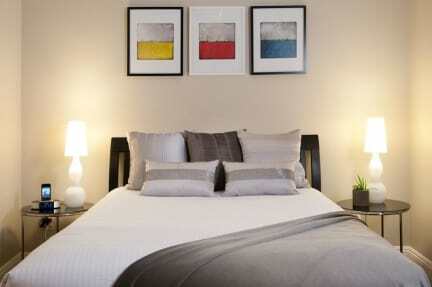 Our rooms are outfitted with top-of-the-line beds with high-thread count linens and plush cotton towels. We are located in the hip and vibrant neighborhood of Little Italy where you will find some of the locals' favorite restaurants, bars and shops; and within minutes of the San Diego Airport, Convention Center, the World-Famous San Diego Zoo, Sea World, Balboa Park, Gaslamp Quarter and the San Diego Harbor. Payment upon arrival by credit cards (MasterCard, Visa Amex).